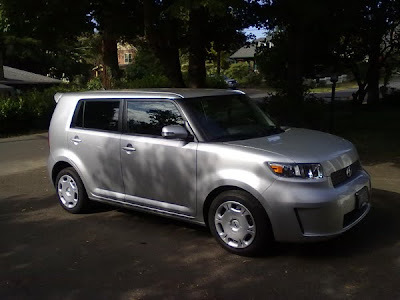 I have an xB loaner car. I don't like it. So, now that I've driven the car a bit, taken it to Costco and the grocery store, it's safe to say I am still not a fan. Although it easily swallowed my Costco/grocery store cargo, it does almost nothing for me, especially in the styling department on the inside or outside. It also is not fun to drive. At least the xB 1, although slow, was entertaining to pilot. Yes, the xB 2 is practical, so it's got that going for it. It also has a great sounding stereo with an Alpine headunit (which is not easy to use, however). Needless to say, I'll be driving the Mazda MX-5 review car as much as possible instead, and looking forward to an xB redesign in the coming years.